1) I’m actually becoming a competent cook. 2) I’m not trying enough new stuff. It’s probably a bit of both, but I did get the urge to try a completely new (and difficult) recipe a few weeks ago. I’ve been watching the new Bourdain show called “Parts Unknown” on CNN. On one episode he visits Canada and gets shown around by the two wonderful owners of Joe Beef. In this clip, they take him out to this ice shack in the middle of no where and serve him a crazy meal that ended with a French dessert called marjolaine, which is a specific kind of dacquoise pastry. I’d never heard of it before, but figured I would try to tackle it on my own. And so began a two week experiment that eventually ended in something edible, but mostly involved a lot of expletives. It involves Dacquoise cake which I’ve made before and isn’t super hard on it’s own. 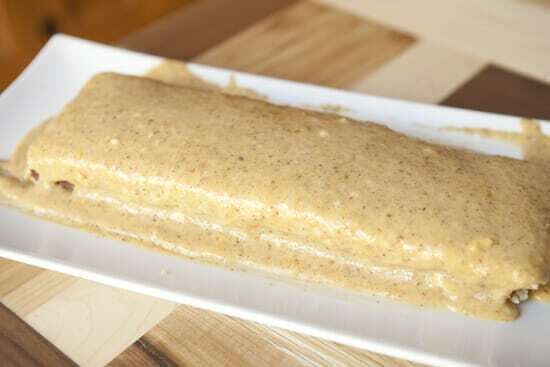 The cake is normally very light, made with egg whites and folded in ground nuts (usually hazelnuts). It involves layers of chocolate ganache. 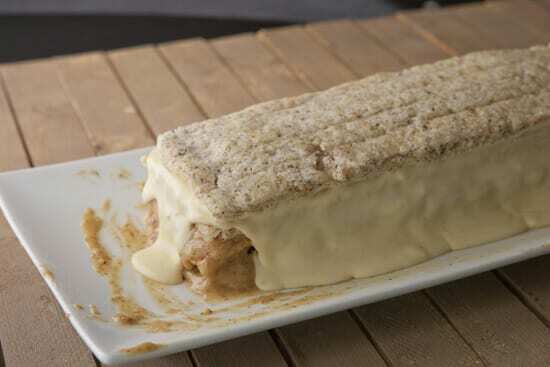 It involves layers of various flavors of pastry cream. It’s beautiful if done correctly. Approximately zero people make this anymore because it’s too damn hard. Even though I had a rough idea of the layers I needed here, I relied on two sources to guide me. The first was an old New York Times recipe from 1987 and the second was from a great pastry blog I love called Joe Pastry. None of the cookbooks I have mention it, although I possibly could’ve pieced together the needed bits from Bouchon Bakery. In any event, I thought I had a good feel for what I needed to make this happen so I jumped right in. This is a fairly short list. Most of things I did on this first attempt were riddled with mistakes. One thing I did correctly was part of the recipe that involves a praline powder. Just to try to convey the steps involved in this sucker, this is the craziness that is this one step which is only one part of one layer of the finished dessert. 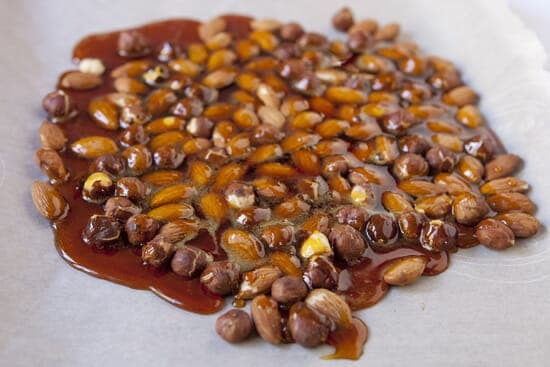 – You have to make a perfect caramel sauce that isn’t burned but hardens completely. 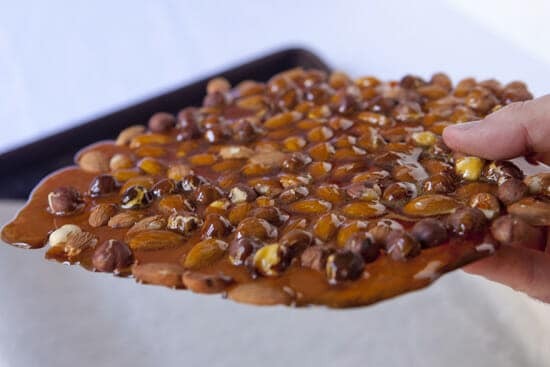 – You have to pour that over roasted nuts making a delicious praline. Most people would stop here. – You then grind that hard work into a powder. – You mix that powder into a perfect pastry cream. I made it to the last step. The only part I did right. I wanted to just eat it like this. This was the first thing I made for the recipe and was brimming with confidence. Let’s make this as complicated as possible. Unfortunately, I had issues with the pastry cream. More on that later. The only other thing I did right was the actual dacquise cake and it was a half success at best. The cake actually turned out fine, but I didn’t have the right baking sheet for it so I used two different ones and figured I could just cut them down to the same size. The cake turned out great, but I ended up with four fairly small cake slices. Oh boy. The mistakes I made were many. For starters, I made the chocolate ganache and pastry cream a day before I assembled the cake. The Times recipe said you could make the ganache in advance and reheat it but I had zero luck getting it the same consistency. It was perfect on day one but super-grainy and gross on day two. I knew I was in trouble when I spread on this layer. For some reason instead of thickening over night, my pastry cream turned into a soup. I just plain screwed it up but as soon as I spread it onto my cake, it just drowned the whole thing. I tried to salvage it and keep layering, but it just got worse and worse. It’s a good thing that blog posts don’t have audio because at this point this post would turn into a cursing fit. A dozen eggs, 12 ounces of expensive chocolate, 1 pound of creme fraiche, a few cups of expensive nuts, and a few other ingredients later, I had this finished situation. 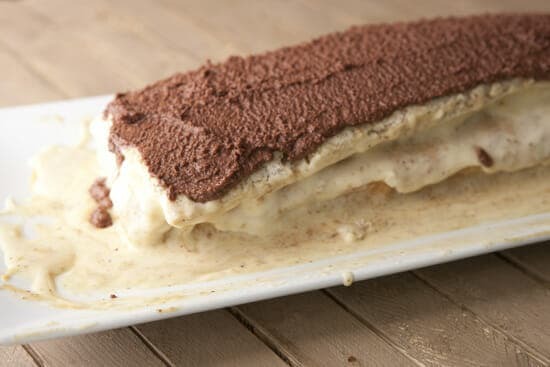 Here’s the only thing that gave me hope: Even though it looked like some sort of French culinary student nightmare, it actually tasted delicious. You kind of had to eat it like a soup, but it was seriously good. So, I promised to pick my pride out of the gutter and try again the next week. Check back in tomorrow to see that version! Have you had a cooking failure recently? Share your stories please so I feel better about myself. 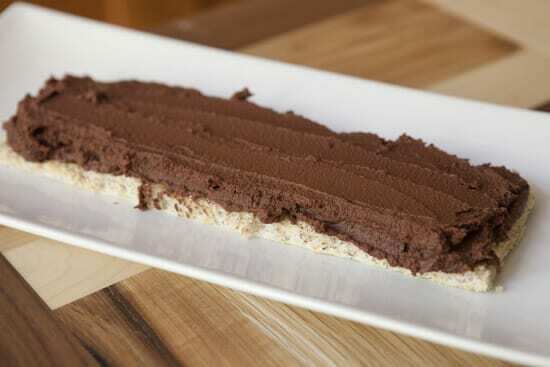 we make ganache all the time at my bakery and store it in the refrigerator for later use. try this method you should have no problems You did a good job! I have been trying without a whole lot of luck to make whole wheat pizza dough that is not flat and hard and tough. One time I added too much wheat gluten and it was too fluffy and had a weird texture. Any suggestions? Hey Karen! That’s the method I used, but it turned into a solid block when I stuck it in the fridge. How do you reheat yours? 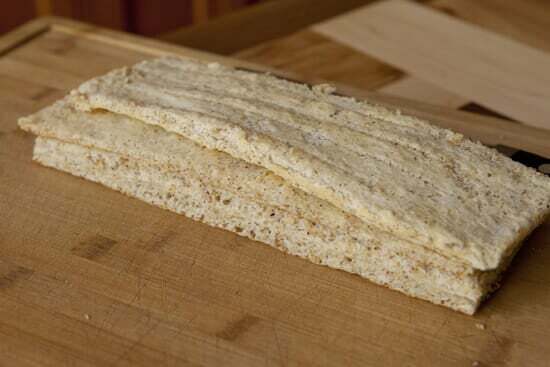 For whole wheat pizza crust, I just use my bread-maker’s pizza crust recipe but substitute about a third of the all-purpose flour with whole wheat flour and it works really well. I have found it needs a touch more water than when using only all-purpose flour. The recipe for a 2lb crust is 4c flour (I use 1.5c ww + 2.5c AP), 3/4t salt, 2t yeast, 1&1/4c-1&3/8c water (you might even need 1&1/2c water depending how dough comes together) and 3T olive oil. Our machine mixes it, allows a rise, “kneads” it and allows a final rise over a 1.5 hour cycle. Bake at 400F. We usually do a few minutes parbaking before putting sauce and toppings and then about 20 minutes for the pizza. Hope this helps. Very refreshing! That’s what I love about your blog…honesty! We all screw up occasionally! If we didn’t, we really wouldn’t be trying too hard! I applaud your efforts. So what if it didn’t “look” good! At least it tasted good, and that’s what counts…photos be damned! You are a braver man than me! Double boiler with the water barely simmering, and constant stirring to reheat ganache. Small amounts are easier to reheat that a large batch too. I remember making this in pastry school. Haven’t made it since. I’ve been itching for a new challenge. I might have to try it again. It looks fun and that is all that matters! Oh well, every cook is entitled to a faux pas every now and then. I thought there was a recipe for daquase in the 1963 Julia Child cookbook, but I just looked and there isn’t. 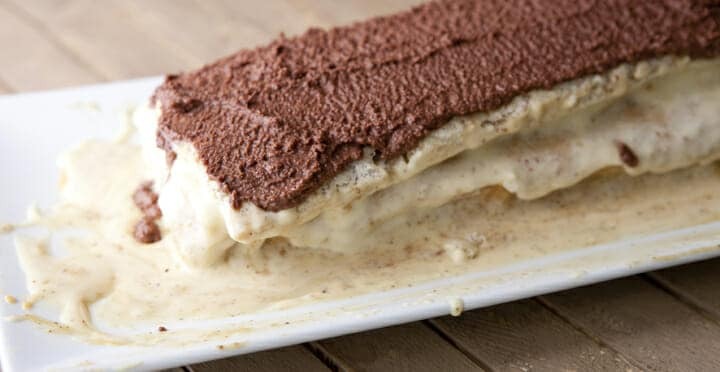 There is one for Ile Flottante, though, which is much easier and seriously good. It’s so strange, but I just watched that episode of Parts Unknown last night. That ice shack meal was pretty over the top unbelievable. Sorry your cake didn’t turn out, but hey, if the collective internet says it’s too difficult, who are we to argue? Pretty sure they admitted that everything in that meal was not something normal humans attempt. That said, I have no doubt your very expensive cake/soup was out of this world delicious. Faith-I have tried the recipe from my bread maker and it was not good. I have been having a little luck using the recipe from Pioneer Woman and subbing some whole wheat flour…mixing it in the kitchen aid with a paddle and not the dough hook…I will try yours though, thanks!!! I recently watched an atk show that made this ….. my guess it was cooks illustrated. You may want to check out their recipe. Ps I have bananas ripening to make the bread you posted recently! I LOVE that you posted such an epic failure! It does seem like it would taste good (how could it not with that list of fine ingredients?). But visually…yep…failure. It’s ok :) I once made blue eggs. BLUE. They looked awful, and they tasted even worse! Failure is good – makes us feel human, right? I have followed you for years and LOVE your site. Delicious recipes and pics, tons of knowledge and honesty. What more could someone want? Thank you!